How has Orthodontics Changed in the Last 20 Years? The field of orthodontics has changed dramatically over the last 20 years. With so many technological advancements and developments, braces have been improved to make your treatment better. With new technology comes new advancements in orthodontics. 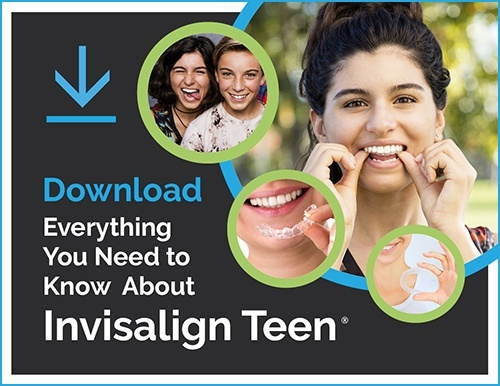 From smaller brackets to Invisalign, the orthodontic process has never been easier. There are a lot of new changes to learn about so that you can be sure to get the best treatment possible. Twenty years ago, you had to have big silver brackets and wires and boring tan rubber bands. At nighttime, you usually would have to wear headgear to provide extra support and pressure to your teeth. Silver braces with the traditional brackets and wires still exist today, but they have been modified. Orthodontists use smaller brackets and rarely need headgear. These are still a popular option because of their reliability and affordable cost. Silver braces are customizable with colored bands and even be different creative bracket shapes. Ceramic braces and gold braces are other great options for those who want a different look than classic silver braces. Invisalign has been a huge development in the last 20 years. These clear, plastic aligner trays allow you to eat whatever you want and get orthodontic treatment without any metal brackets or wires in your mouth. Today, braces are much more comfortable than they ever were because they’re designed just for you. Smaller brackets and more advanced wire help braces fit in your mouth better. Installing braces is easier because of these smaller sizes and adjustment don’t have to be as intense or uncomfortable. Invisalign takes comfort to a whole new level. After initial scans, your aligner trays are created specifically for you. These customized trays shift your teeth over time, and you don’t have to worry about food getting caught in your braces since you take the trays out when you eat or clean your teeth. Just be sure not to keep them out for too long so that you do not delay your treatment timeline. A recent development in the orthodontic process is the use of a digital scanner to take images of your teeth rather than making impressions with gummy putty. There’s less mess and less discomfort all around. The ongoing treatment process is not as invasive or painful as it was in the past. Adjustments and orthodontist visits do not take as long and often aren’t as frequent, so you will not miss as much school or work. Invisalign makes doctor’s visits even easier. With no wires or elastics to tighten and adjust, you just need periodic check-ups to receive your new set of aligners and make sure your teeth are moving according to plan. Don’t let any past fears or scary rumors keep you from contacting us if you are interested in getting braces or Invisalign. We’re here to help you through your orthodontic treatment and promise to make it as easy as possible.